What better way to enjoy a Saturday or Sunday afternoon, than to come to the Biloxi Seafood Festival. With outstanding seafood, live music, arts and crafts and a bevy of activities for kids, there is sure to be something for everyone. The Mississippi Gulf Coast provides the perfect backdrop for a day or evening affair located on Biloxi Town Green September 9-10 from 10am-9pm and 10am-5pm respectively. Admission for the event is $5, but there are all access wristbands available for $15 allowing participation in the gumbo tent. 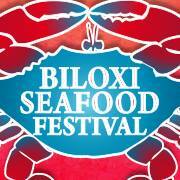 The theme of this years' event is celebrating seafood heritage of Biloxi along with the maritime industry. With seafood being the focal point of this festival, it also is the Chamber of Commerce's biggest fundraiser of the year. On Sunday, there will be the Sun Herald Gumbo Championship, where those that would like to participate (for an additional fee) can taste gumbo recipes from amateur and professional teams. All the teams are up for the Peoples' Choice and Best of Show Awards. It will be a great way to bring the family down and cheer on your favorite or get ideas for your own gumbo recipes at home. If you are artistic, and can depict the city of Biloxi's seafood heritage, give the art contest a try for a chance of winning $500. You can have up to two submissions per contestant and must be easy for reproduction on posters and t-shirts. Best part of all, there is no entry fee for this event. Coming out to the festival is a great opportunity to get the family involved and have some fun. Make some memories for years to come and start a new or continued family tradition by coming out to the 36th Annual Biloxi Seafood Festival. After all, the event has been Awarded top 20 Fall events by Southeast Tourism Society seven of the last ten years.